A north-east teen could be banned from keeping animals after he “choke-slammed” a six-month-old husky onto a tiled kitchen floor. The puppy was left injured and limping after the spontaneous attack carried out by Shaun Thain at his parent’s home in Aberdeenshire. 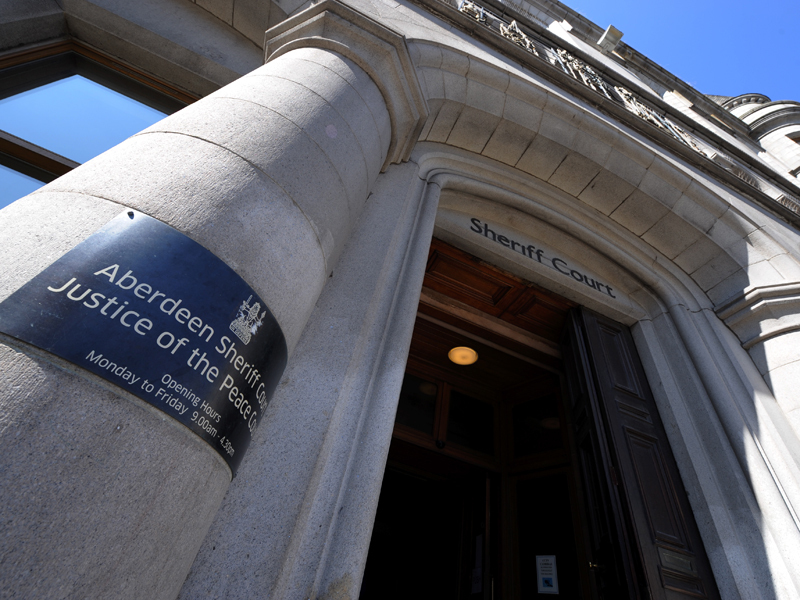 Yesterday the 19-year-old appeared at Aberdeen Sheriff Court and admitted causing his family dog unnecessary suffering on March 21 last year. The court heard that Thain had invited three friends round to his home at Plantingside Cottage, Edzell, for some drinks as his parents were away. When they arrived the four of them began drinking beer and vodka. Shortly later, without warning, Thain picked up the puppy by its collar and tossed it into the air before throwing it down on the hard kitchen floor. Fiscal depute Cheryl Clark said that the dog appeared to be injured as a result of the “choke-slam” and limped away under the table. The court heard that later on, Thain became aggressive when friend Kyle Leask tried to take a pillow from the accused’s room so he could go to sleep on the floor. Ms Clark said that Thain tried to punch Mr Leask and missed, but then kicked him in the chest. The court heard that as a result of his behaviour a fight broke out among the friends and Thain’s parents returned home. They then called the police. Defence agent Iain McGregor told the court the husky had since died after catching meningitis. He said this was in no way connected to the incident involving his client. Thain had also been accused of threatening to set the dog on fire the next morning, but his not guilty plea was accepted by the Crown. Sheriff Alison Stirling deferred sentence for background reports and to consider imposing a banning order on him which could prevent him from owning or looking after animals in the future. He will return to court next month.